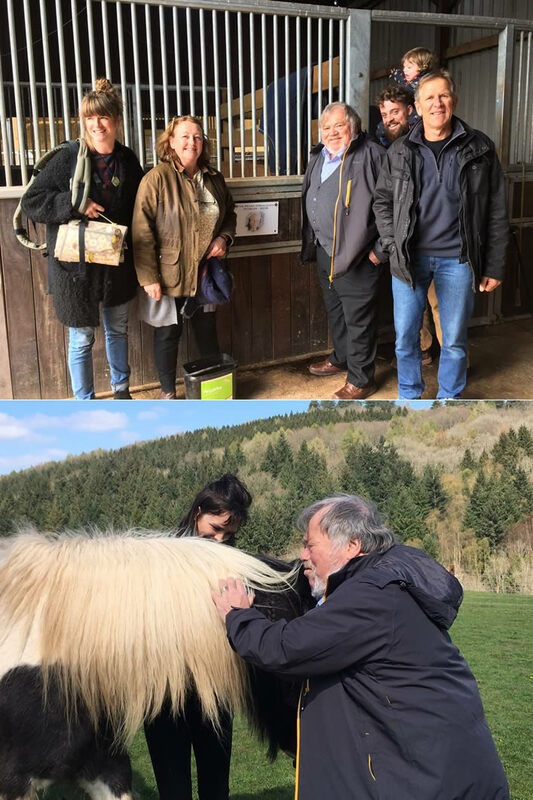 Nigel Payne and his family paid a visit to Jamie’s Farm in Monmouthshire where The Trust financed a new stable and paddocks named after Peter. The farm reintroduces young children in care to life’s values. 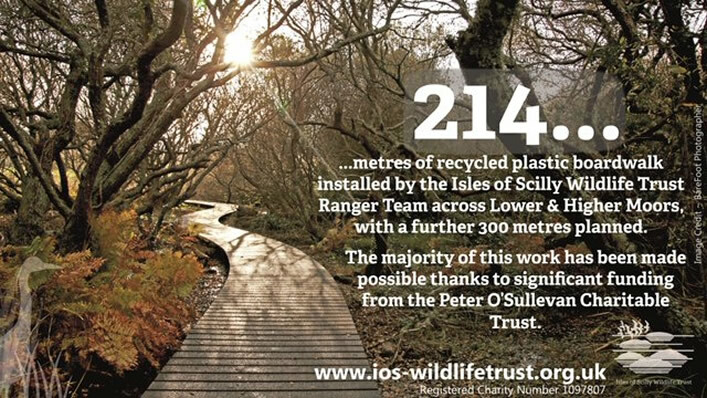 The Trust were delighted to help the Isles of Scilly Wildlife Trust. Peter and his wife often visited the Islands. 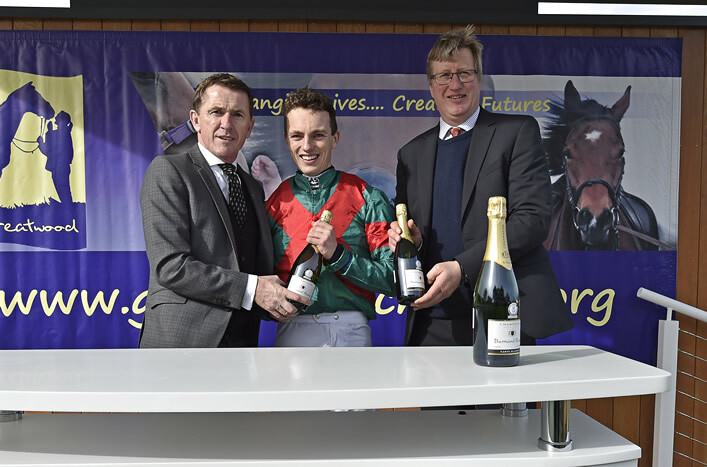 Sir Anthony McCoy presents the prizes for the The Peter O'Sullevan Charitable Trust H.O.P.E™ Programme Seniors Handicap Hurdle at Newbury on March 2nd. 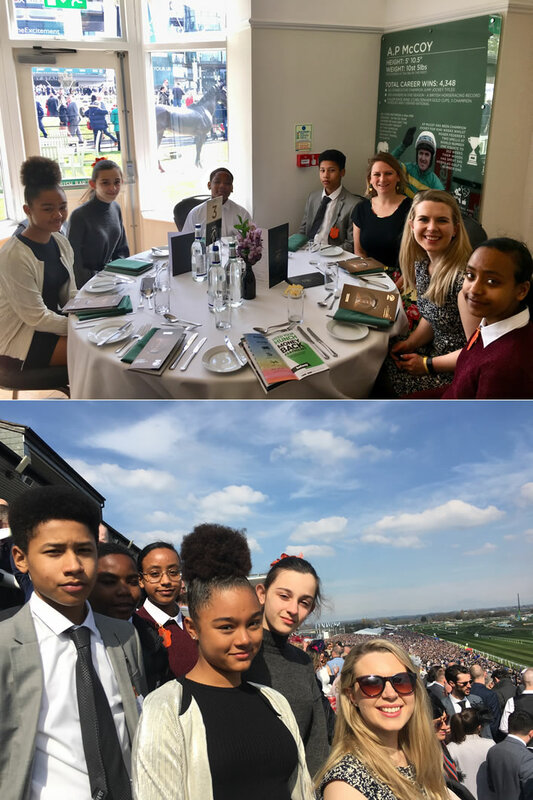 The Trust are supporting The Greatwood H.O.P.E programme for the next three years. 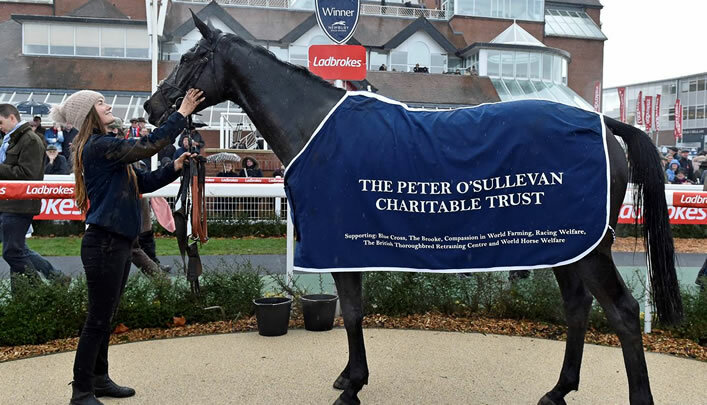 Kapcorse, owned by Peter O’Sullevan’s great friend J P McManus, trained by Paul Nicholls and ridden by Bryony Frost, won the Peter O’Sullevan Memorial Chase at Newbury on December 1st 2018. 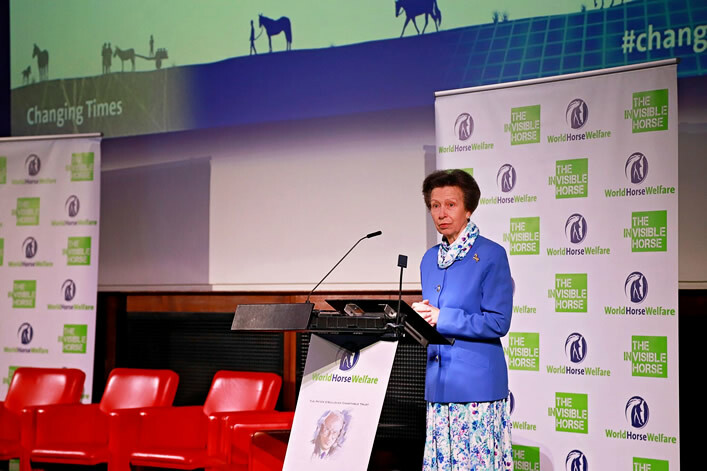 HRH The Princess Royal addresses the 2018 World Horse Welfare Conference. The conference was sponsored by the Trust. RDA Lambourn ‘Supporters Teaparty’ September 2018. 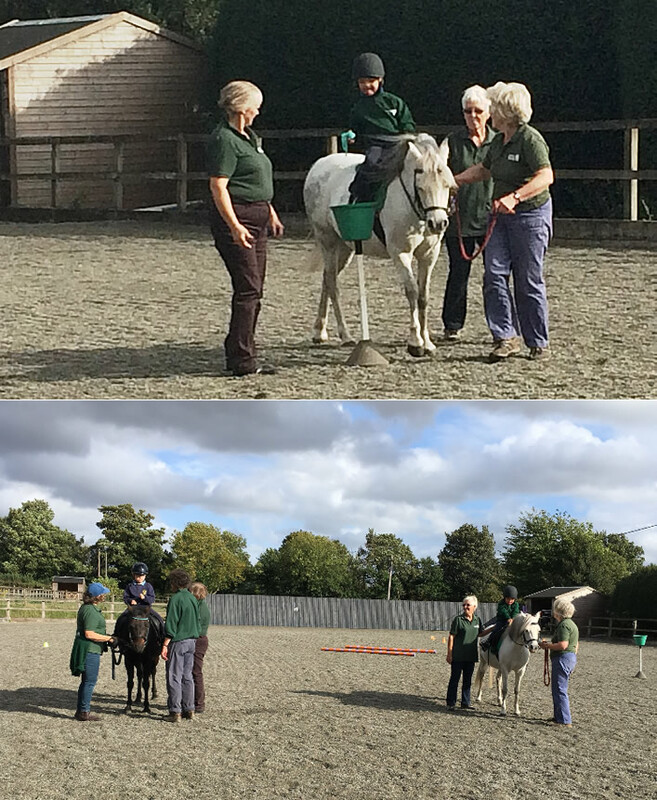 Demonstration by riders and pictured here riding a pony bought by the Trust. 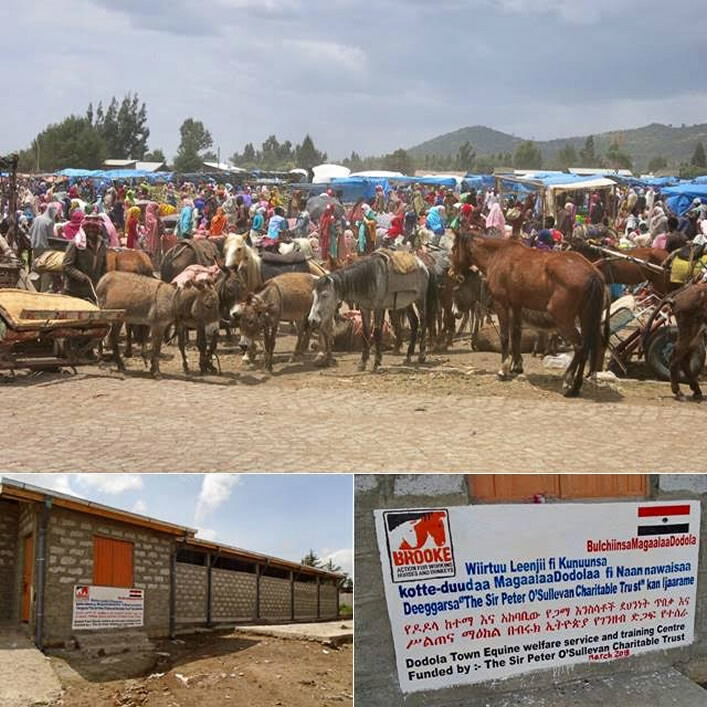 This market shelter and training centre for working equines in Ethiopia has been constructed by Brooke, and funded by The Sir Peter O’Sullevan Charitable Trust. 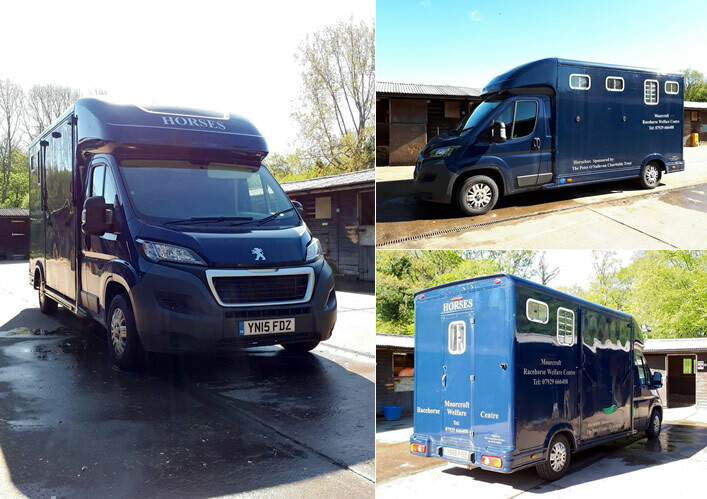 The Trust were pleased to fund a new horse box for The Moorcroft Racehorse Welfare Centre. 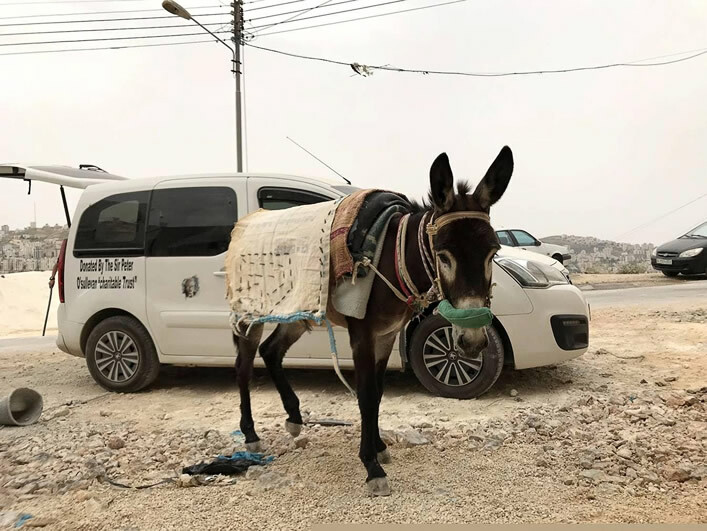 With funds from the Trust the charity Safe Haven for Donkeys acquired this vehicle for their vital work in the Holy Land. 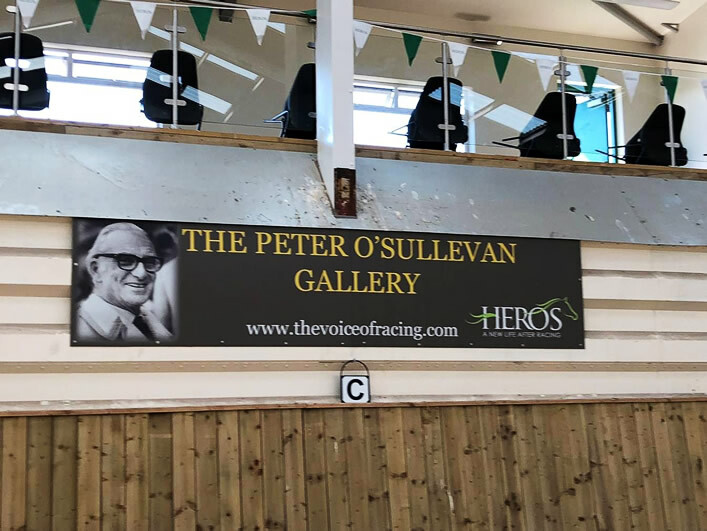 The Trust funded The Peter O’Sullevan Gallery for HEROS one of the leading organisations for a continuing good life for horses.